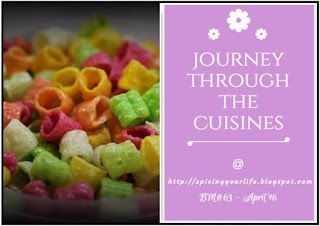 The final day of our Mega Marathon, here i m with a simple rasam recipe. Though it was decided to do something with zeera/jeera, i was not sure what to do?? Finally i settled for this herbal rasam with jeera and oregano/karpooravalli. 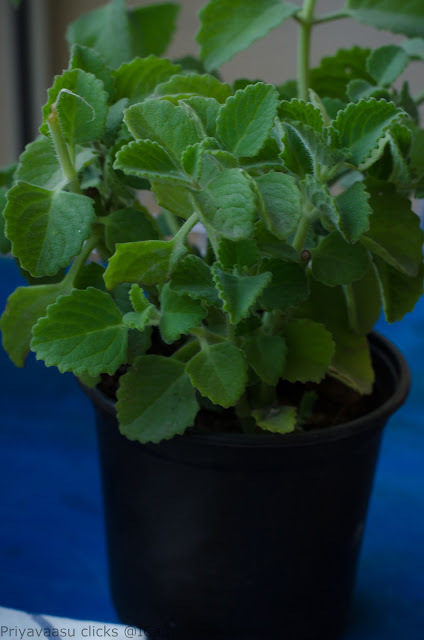 Karpooravalli/Omavalli/Ajwain leaves is also known as country borage, French thyme, Indian borage, Indian mint, Mexican Mint, Soup Mint, Spanish Thyme, Big Thyme, Cuban oregano, also as Indian Oregano. It is only recently i started making this rasam and it has become once in 2 weeks definite menu. First for its health benefits and secondly i need to keep my oregano plant prim and propped too!! I give it a cut every 2 weeks and so the day it is getting a cut, i make this rasam for my kiddo's. I love that mild kicky flavor of fresh oregano in the rasam, kids never know what it is,but they love it. It is pretty easy to make, if you have the ingredients. It is well suited for those seasonal changes which brings along cough,cold and allergies. Hot rasam drizzled over steaming hot rice and a dollop of ghee, is a good cure for those aaachoooo's!!! Soak dal and cumin seeds in water for 20 minutes. Drain and take it together with chopped tomatoes, green chili, curry leaves, shredded ginger, oreganao/karpooravalli/omavalli and tulsi/holybasil leaves. Grind it together to a fine paste, no need to add water. Remove the contents to a wide pan, add 1 cup of water to the mixie, wash and pour the water to the ground tomato mix. To this mix, add rasam powder, turmeric powder and salt. Let it boil for 5-8 minutes or until the rawness of the rasam powder dissappears. Add 1/2 cup of water to this rasam and take it off the stove. Check the consistency of the rasam, it will be little thick because of ground tuvar dal. Add another 1/4 cup of water, if it is too thick. Now for the tadka, heat ghee in a small pan, splutter mustard seeds, add hing, cumin seeds, fresh pepper powder and chopped green chili. Pour this sizzling tadka over the rasam , Garnish it with fresh coriander leaves and 1/2 tsp of fresh shredded ginger and serve warm over steaming hot rice and a dollop of ghee. Zeera oregano rasam looks very flavorful. I love rasam and next time I have some leftover oregano, will use it up to make this rasam. I didn't realize karporavalli was oregano. In our homes infants are fed a few drops of the leaves juice when they have cold and they get cured instantly. This rasam is definitely on the healthy side and intelligent use of Z word. Loved all your breakfast and chutney dishes, this marathon. Wow your oregano pot looks so wonderful Priya..We had it for many years though never used it much..only after it withered did I realize that I could've cooked it...Wonderful series and I enjoyed all that you cooked up. Kudos on your excellent choice of dishes across states, each day was an exciting one wanting to know what you come up with. Love your karpooravalli plant, Priya. This rasam sounds so flavourful. I loved all your innovative dosas.and other dishes throughout this month..
Omavalli plant , my god thats really fantastic Priya. 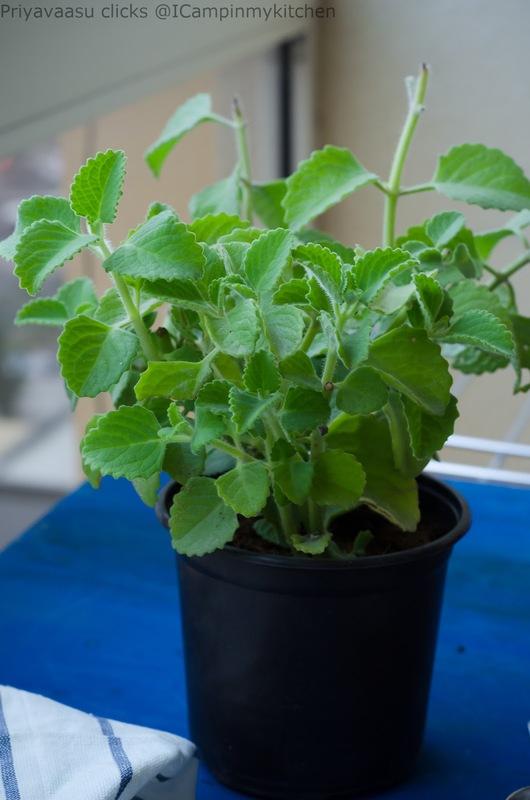 I seriously want to grab few leaves from your plant, rasam looks absolutely lipsmacking and simply loved all your dishes and enjoyed running the marathon with you. Omavalli plant.. wow. We had it back in my native. Miss these medicinal leaves. flavorful rasam. Wonderful. 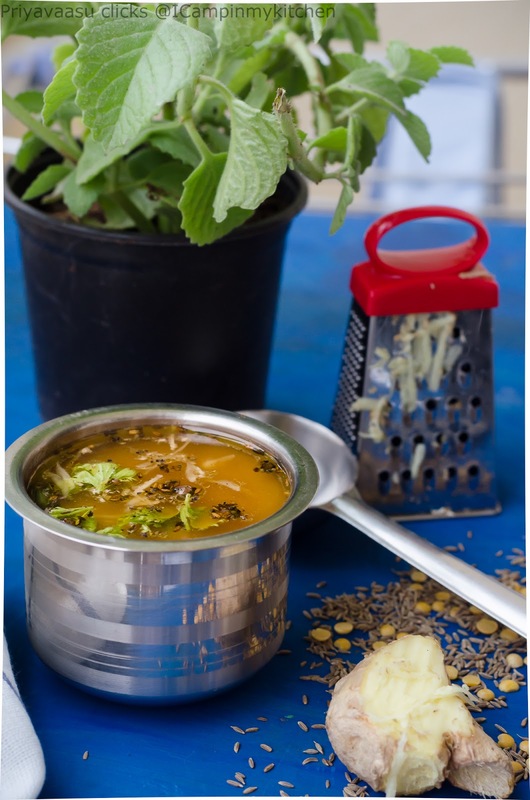 Zeera oregano rasam looks so flavorful and inviting.Love your oregano pot. Wow! this reminds me of my childhood. We call this vaamaku. 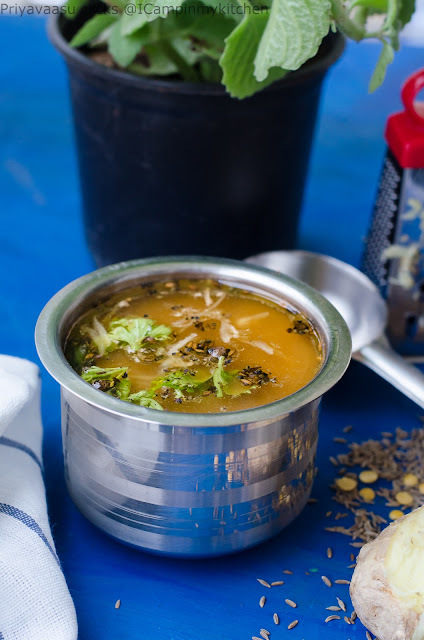 That's one flavorful and addictive rasam. Looks delicious. The rasam looks so nice and flavorful. I loved you tiny plant too!